Street parking and a public lot across the street at City Hall. Welcome to Visconti's, winner of the Washington Maker's Choice Award for 2009 from the Washington Wine Commission. Food was very good; service just ok. Seemed like they might have lost the reservation, took a second to get it figured out. Twenty minutes before we were asked for a drink order. After that everything ran smoothly. Food came quick and was delicious. My cannelloni was served cold, and while I was still eating my salad. I felt rushed and like it was more important to turn our table than it was for us to enjoy our meal. Typically a server will wait until someone is done (or close to done) with their salad prior to serving the entree. At a small table for two with no room for a salad plate and an entree, the server offered to take my salad (which did NOT come with the meal and was charged separately) and put my entree in its place. Not wanting my dinner to get cold, I agreed with his suggestion, only to find it was cold anyway upon taking my first bite. At $25+ per plate it was disappointing food and service. Music loud but turned down when asked. Wine and meals were disappointing. Great food and service though the mashed potatoes are too rich. I would also like to see more pasta choices. Excellent food and service. Our waiter was very helpful and accommodating of a dietary request. My twin and I came for our Birthday. It was great and service was impeccable. We made a reservation for dinner and were seated immediately. Host was very gracious. Waiter was nice but a bit abrupt. Had to ask for bread and it arrived cold. Was good focaccia but a few seconds in the oven would have made it lots better. Entrees we large and just ok. We had the cannelloni and fettuccine. 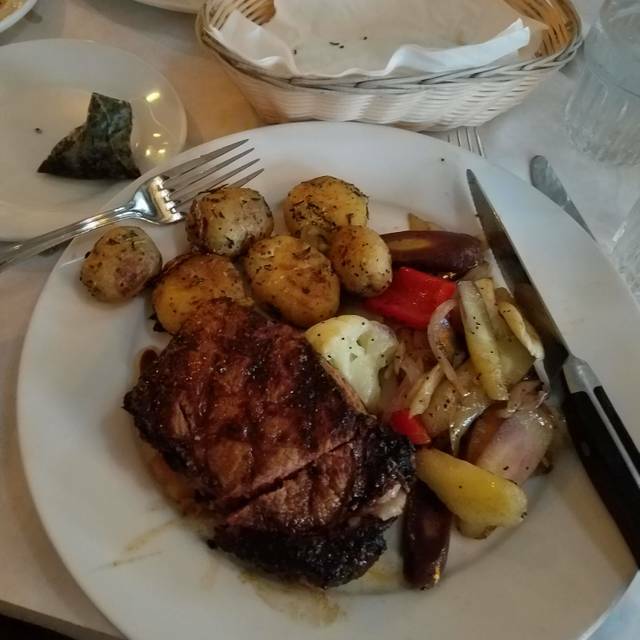 Delicious food, great service, our favorite place to eat when we are in Leavenworth. Great food and great service. I pretty good at cooking a good steak but mine doesn’t match the amazing job they did for us. Pretty average overall. Nothing bad, nothing great. We were very disappointed in our dinner. I made reservations for a romantic spot and we were seated at a table closest to the kitchen. We were rushed and were never offered another glass of water or wine during our dinner. The bread was was cold and tasteless I had the ravioli and it was horrible. I ate one ravioli and I was done, It wasn’t edible. Our waiter was very nice and friendly, The only good thing about our dining experience. A perfect Valentines dinner for my wife Jill and I. Thank you for a wonderful dinner. Excellent food. Home made bread with olive oil and garlic dip included before meal. Great service, husband loved his pasta with sausage. Highly recommend and looking forward to coming back to try other dishes! 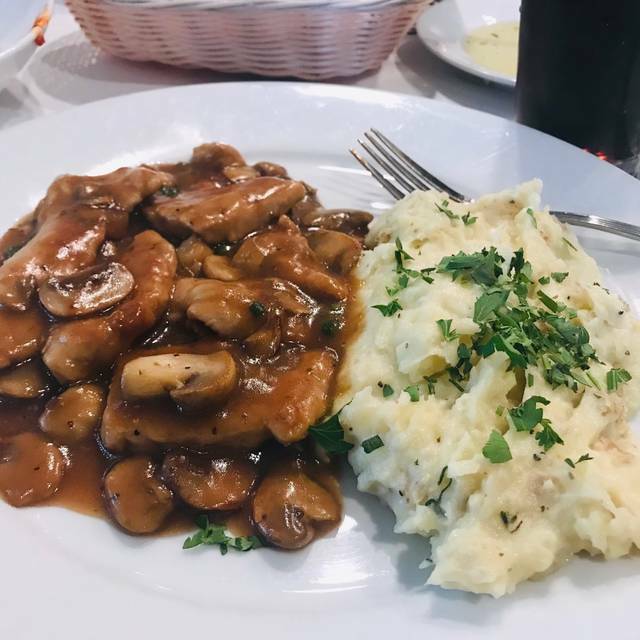 Whenever we stay in Leavenworth, we always make sure that we eat at least one meal at Visconti's. 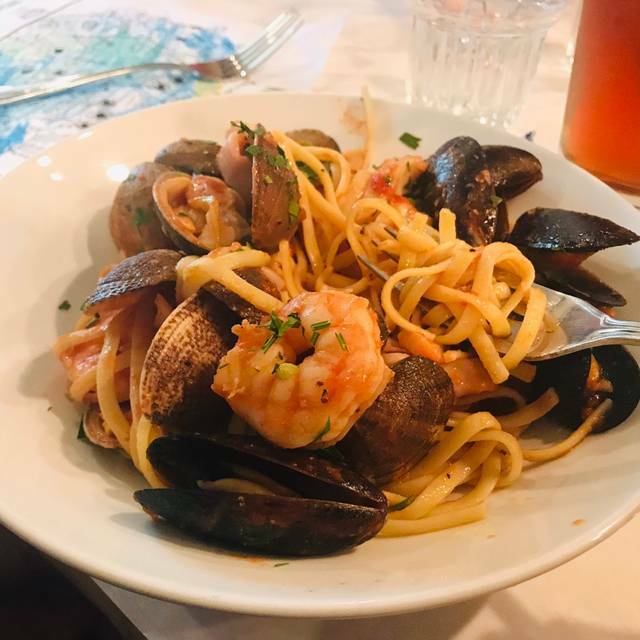 We always enjoy the atmosphere, service and of course, the food. My hubby had the Canneloni, which I tasted and it was delicious. I had the slow cooked pot roast with potatoes. It was also delicious. My only recommendation would be, since the pot roast is served with smashed potatoes, maybe not include the additional potatoes and have a vegetable such as broccoli, green beans or asparagus instead. Other then that, it was an outstanding meal. Slow but friendly service. My roasted chicken was tough and a bit rubbery. Other meals were average. Not very inspired. 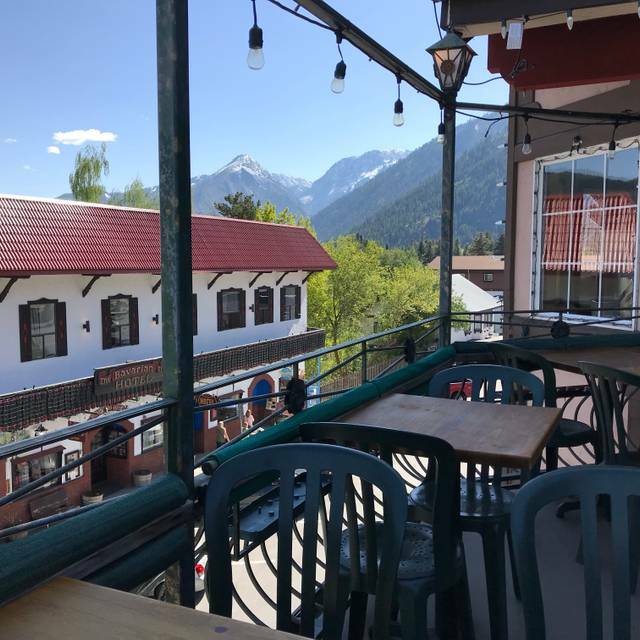 Overall, an adequate place given the other options in Leavenworth, especially if you're tired of fried food and bratwurst. We had a lovely dinner with excellent service. We had a great view of Leavenworth and all of the Christmas lights. I’m sure we’ll be back soon. We visited the Leavenworth, WA Visconti's last Sunday and had a great time. The food was excellent as was the service. We had Calamari for an appetizer - delicious! I had Spaghetti and Prawns, and my wife had the Cannelloni - both were delicious! My wife had dessert which she loved, but the name escapes me... Service was very attentive. There are a couple of dining rooms which are fairly small, so the noise level was reasonable. We had a table overlooking Leavenworth's Front street which was lit up in winter lights (it was January) - beautiful! Great overall atmosphere. Great selection of diverse food and drinks. Highly recommended! 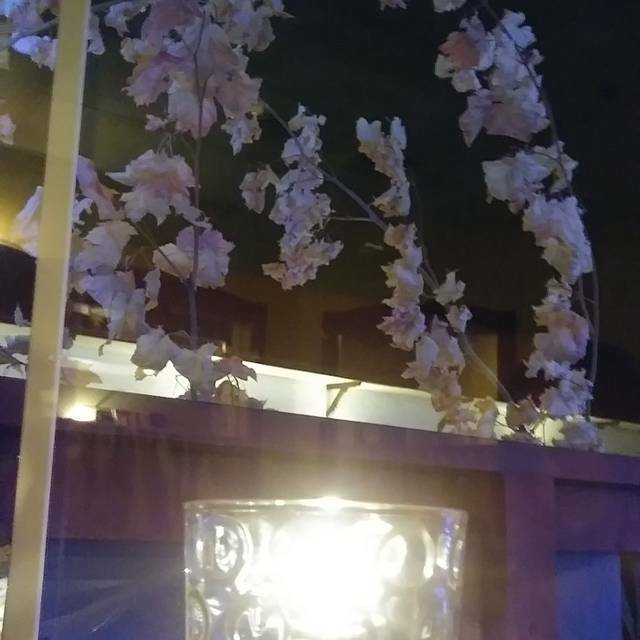 We set up a reservation for a friends birthday and asked to sit by a window to enjoy the Christmas Lights and they made it happen. Great experienc! Loved the Chef board with custom meats and cheeses plus the Caesar Salad was the best I've had! Our server was attentive without being obtrusive, personable, and knowledgable. The food was delicious and authentically prepared. The only negative comment we have is screaming babies which detracted from the quality of the experience (but we realize that this is extremely hard for the restaurant to control). Patrons should use more discretion when planning to go to a restaurant of this caliber, and find a good babysitter. The service was very good. The food was good. Not fabulous, but good. Except the flourless chocolate cake with berries, I would say that was fabulous. Service was very slow, but food food was good. We usually love recommending Visconti's, but our last experience was very disappointing. The service was extremely slow, unfriendly and could care less if we were there. We had to ask for things like more water and to replenish our empty wine glasses. We also had to ask for cracked pepper and cheese...something they always ask if we want. Instead of bringing the cheese grater to grate fresh parmesan, they brought us a plate of shredded parmesan. 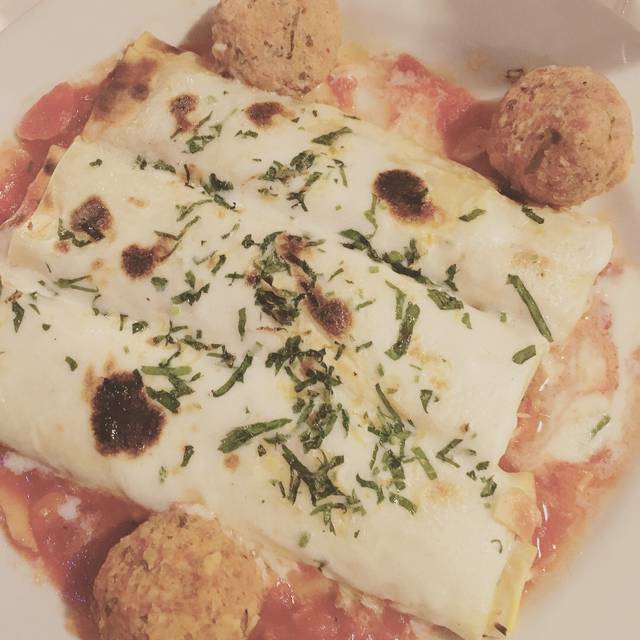 The food was uninspiring on our plates...the lasagna looked "slapped on" to to the plate. Just an overall yucky experience. The service was terrible and the food was mediocre. The meal cost over 100 dollars for 2 people and it would have been a better value and better tasting food at the sizzler. I took the wife for new years and birthday hoping a memorable time, well definitely memorable for the bad service and food. We were told when seated that the bread would be right out but even after our food was delivered, no bread. Asked waiter and he said he would personally take care of it. At the end of our meal still no bread and when the waiter asked us how our meal was I told him that twice we were told the bread was in the way, even by him, but never received it. He apologized and said we would be comped but I told him i did not want any kind of comp just for people to do their jobs. I also told him that the steak was dry on the inside and charred on the outside and the rest of the meal was just cold. He said he would have the manager come over and speak with us. I told him i did not want that and to just bring me my check so i could pay. Well, even after that the manager showed up anyway and asked how our meal was. I think he already knew but I told him that even after requesting for him not to come over he did anyway. If he needed information on how our meal was then to ask the waiter. I told him to please bring my check so I could pay and then leave. He asked if we would be eating there again in the future. REALLY! No way would I ever come back or recommend the restaurant to anyone. Well, the romantic night I was hoping for did not happen and hopefully next year I can make it up to my wife who is the greatest lady I know and who works hard all year to take care if the home and me and our grandchildren. We haven't been here in years. Good to see the bar was upgraded. Requested a table downstairs and was not disappointed. Staff and service were spot on during a very busy NYE. Menu options have decreased, but still high quality. My husband had the rack of lamb which was fabulous. I had the veal medallions which were very good. Dessert was Viscontis Nightmare - a chocolate bomb! Will come here again for a special occasion. It is a welcome escape from the bavarian crap that this town excels in. Keep up the good work. We were there on new years eve and it was good food and good service. Nothing too crazy special, but good overall. Visconti's served the best Prime Rib I have ever had. The Chef cooked the meat perfectly and the sauce was just right in flavor. The entire family enjoyed our selections. Must have the Beet and Arugula salad. New York strip was fantastic. Lasagna was on the small side but flavor was good. Great food, nice ambiance, best place in town! I have brought my family to Visconti's for the past 3 years at Christmas. This year was a disappointment. The second floor was hardly decorated. Portions were smaller and it seemed pricier. If I were to base my experience on this one visit. We would not return. Excellent service. 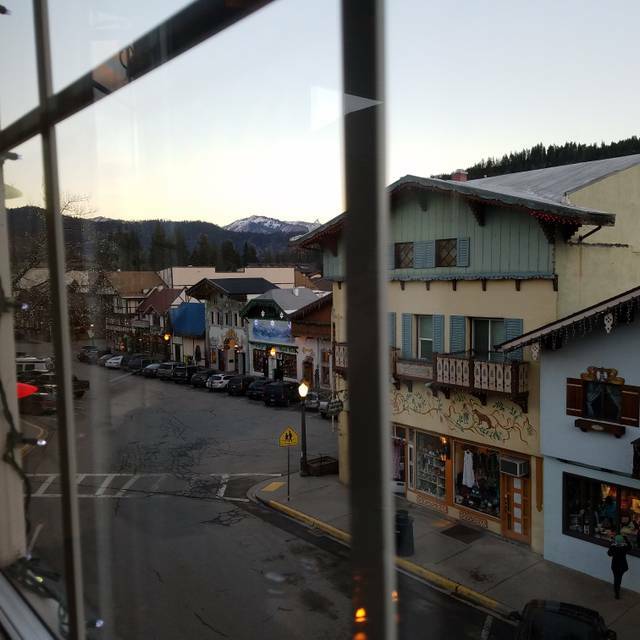 We bring our family here every year before Christmas for dinner to watch downtown Leavenworth out the window from the table. The lights come on as we dine on great food. This year the manager even stopped by to check in. Thanks for a great evening! Always a pleasant, predictable experience: tasty food, friendly and attentive staff, festive holiday environment. Great setting and food, some tables overlook the main area of town. 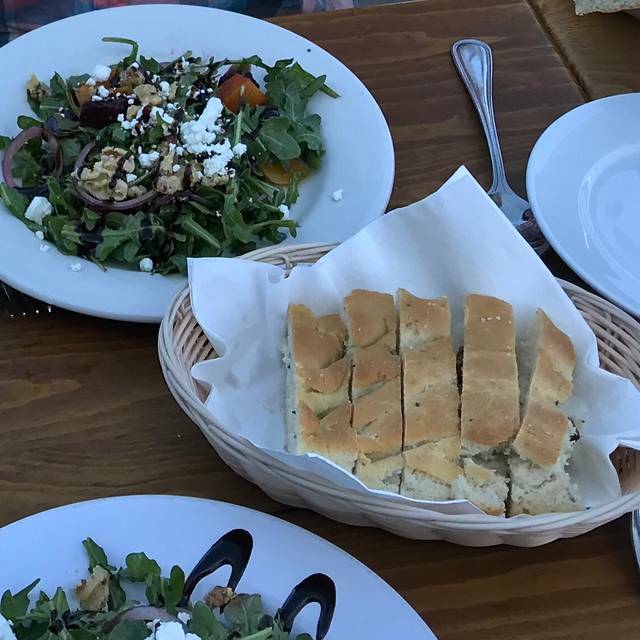 Great bread and never a bad meal. Don’t bother leaving a note on here as they don’t read it. This was a wonderful evening. We were celebrating an 86th birthday. It was just perfect in every way.